October is here time to get the baking gear! Alright, I wont lie - I can't bake. I guess I have two choices, learn a new craft and get the rolling pin from Rose, and my grandma's secret recipe from my face purse from Nelle. Well, I would need an Elf or Elfie herself to keep the strong black coming from Jinny's twig espresso mug and hope not only tears and sweat end up in Laras beautiful kitchen towel .... Or, I could cheekily light a candle, enjoy my espresso calmly and buy those stunning undoubtedly delicious cookies from Sylvia and ask her to even personalise a few for my friends and family. Tadahh, excited, beautiful, and no one has to bite on eggshells, happy, done! Lara is the designer and maker of LaraGörlach. She is focused on bringing the tradition of silk-screen printing to the forefront of contemporary design practice. The art of print allows her to fully express her creativity through transferring a design onto multiple surfaces. Her aim is to make functional artwork - a carefully considered colour palette and pattern adorn everyday objects, making beautiful textile design accessible for those who appreciate the physical skill of screen-printing and the luxury textural quality it offers. She hopes that she can help her customers to inject unique and contemporary elements into their homes. Silvia of Silvias Gingerbread House, artisan iced biscuits. She loves baking and spent a lot of time baking with her mother and sisters in her childhood. She is a trained pastry chef and worked in high end pastry kitchens. 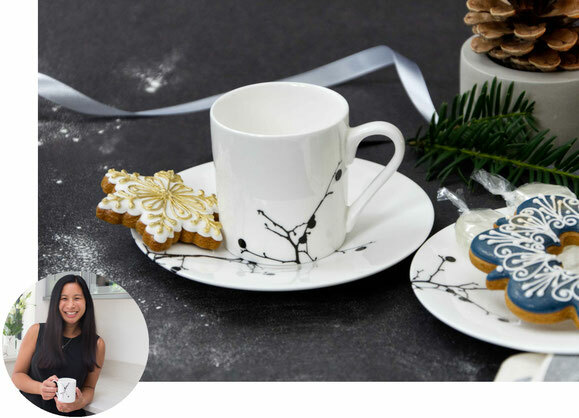 With her own business she is able to express her baking and especially decorating skills while expressing herself through her designs. Her inspiration comes from a lot of things, but most from vintage china and folk motifs of her Hungarian roots. After all she is using a 200 year old Hungarian recipe with an added twist of honey! 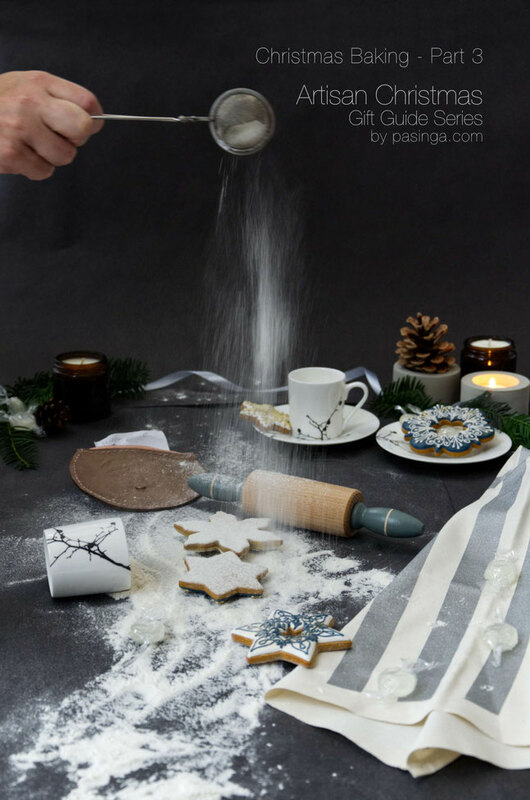 All the cookies are made by hand even the dough. 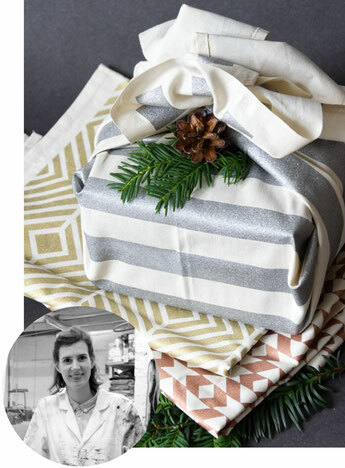 She uses traditional royal icing to pipe her patterns and elegant decorations freehand with the upmost care and love for details. Rose founder of RoseJamesDesign - she is based in South West London and her studio space is one of the beautifully renovated railway arches. The shared space generates a lovely creative buzz which helps her to imagine fresh ideas. She loves merging classic design with contemporary trends as seen throughout her lovely range of handcrafted woodware, made using traditional methods and sustainable materials. The collection offers multifunctional home accessories ideal for small-space living and spacious areas alike. Each piece is lovingly hand painted using organic paints with 6 tasteful colours to choose from, and the made-to-order service allows you to choose your colours to suit your space. 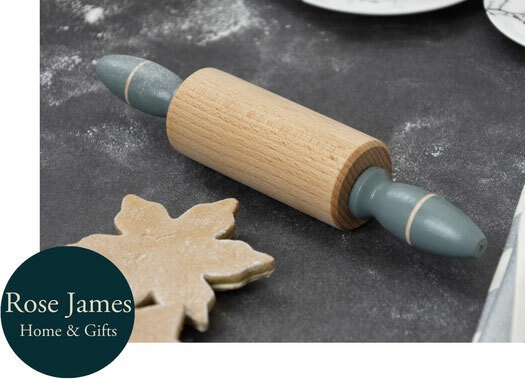 psst... the tea towels by Lara and Roses rolling pin make a perfect match for a backer or your chef at home! 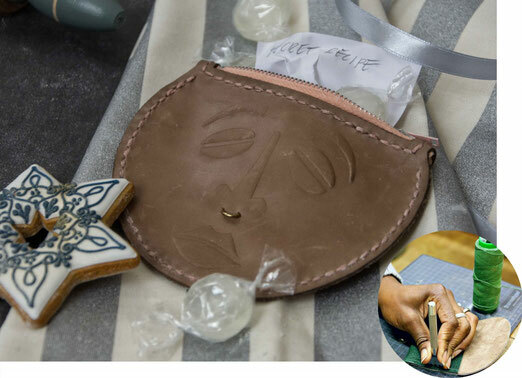 Chanelle the creator behind StudioNelle found her love of leather after setting up a community workshop which offered those affected by mental health an outlet for recovery without being labelled. Whilst running these sessions, she was donated a pile of cow hides that had been discarded from the fashion industry. The leather industry eliminates full leather skins due to pimples, scarring and so on. For her designs, she is buying some of them off before they are discarded to the landfill. She enjoys making items such as small wallets, purses and phone covers and uses motifs which are either debossed or laser etched to decorate the leather in a unique way. The designs are an equilibrium between stylish regal British culture, rituals, philosophies and heritage of black culture. To assemble each product Chanelle uses an age-old traditional stitch using two needles and a strong polyester waxed thread called the “saddle stitch”. Arguably the strongest stitch available, to ensure each product lasts a lifetime. Jinny designer-maker of JinnyNguiDesign. She has always enjoyed being creative and feels lucky that she could make it her job. She studied Ceramic Design at Central Saint Martins and worked as product designer after graduation. After 6 years she really missed making. She decided to buy a kiln and to create her own tableware. She is back with new ideas after having taken a year off for maternity leave. While London is primarily her source of inspiration she feels that her Chinese heritage has an increasing influence on her work. Her bone china wares are sourced from Stoke-on-Trent, she applies her designs by hand and then fires the bone china to 820°C. It is her dream to screen print her own ceramic as designing and making products that people use everyday is her joy. psst ... she has cute things for tea lovers too! Aren't these ladies just lovely, you have met 13 creative souls so far, no you did not?!!! well, feel invited to catch up on the -introduction of this series - Part 1 Getting in the Christmas mood and Part 2 Making a list. I hope you enjoyed the baking part just now and are as excited as I am about the parts still to come!